L-Carnitine is vital for energy production at a cellular level and transports toxic compounds out of the cells, this assists the metabolic functioning in fighting free radicals and oxidative stress. High level immune function requires large amounts of cellular energy. 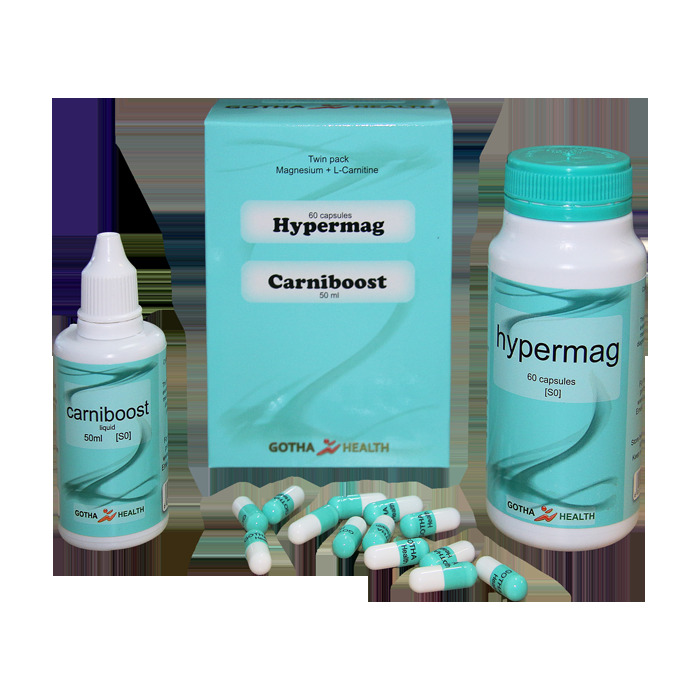 Some people use L-carnitine for muscle disorders associated with certain AIDS medications, chronic fatigue syndrome, diabetes, overactive thyroid, attention deficit-hyperactivity disorder (ADHD), leg ulcers, Lyme disease, and to improve athletic performance and endurance. Magnesium is at risk of depletion due to excessive workloads, chronic illness and hectic modern lifestyles. It is needed for more than 300 biochemical reactions in the body, it helps maintain normal muscle and nerve function, keeps heart rhythm steady, supports a healthy immune system, and keeps bones strong. Magnesium also helps regulate blood sugar levels, promotes normal blood pressure, and is known to be involved in energy metabolism and protein synthesis. L-carnitine helps the body produce energy and is important for heart and brain function, muscle movement, and many other body processes. Aging, disease, stress, and illness can reduce magnesium absorption.